Colour: So as I said, Spiked with Rum is definitely more of a A/W colour, its a good few shades darker than ‘In The Flesh’ and colour wise it’s pretty challenging to describe. It’s like a mauve mixed with a brown and it kind of reminds me of what the original lolitta looks like (NOT THAT I OWN ANY OF THEM loool). I'll let the swatch do the talking! It is incredibly flattering on warm, medium skin tones but I'm sure it’ll look wonderful on all skin tones because after searching for swatches online it looks so beautiful on multiple girls! It’s also a shade which can be applied lightly by dabbing it on and blending it, or layering it on and getting a much richer, deeper colour. Also can we take a moment to re-appreciate 'in the flesh'??? How gorgeous is it?! 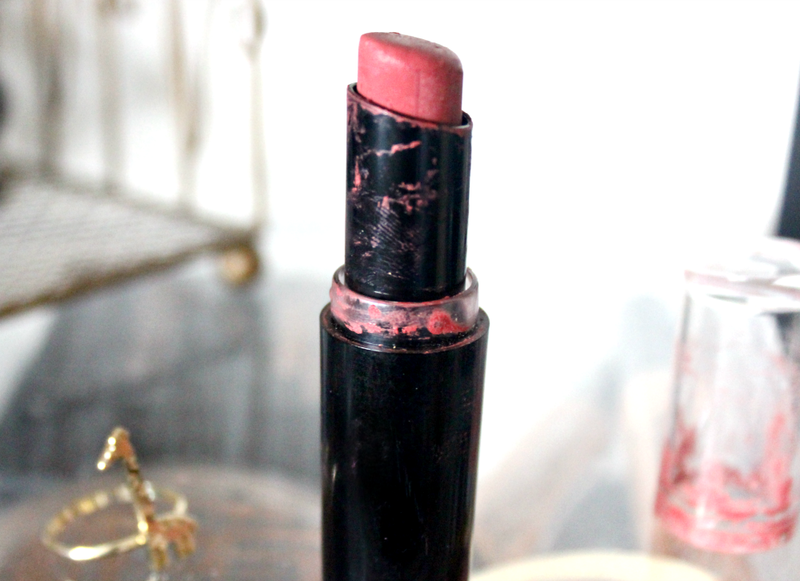 My favourite dusty pink (review here). Formula and Lasting time: This is a semi-matte colour and it's comfortable to wear. 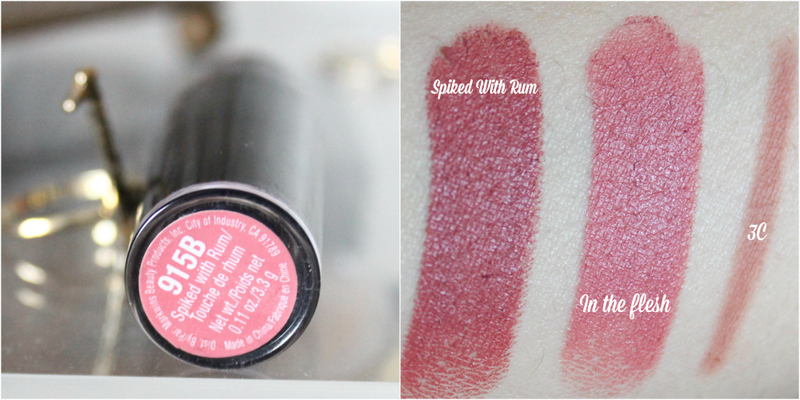 It is very creamy and opaque, as well as lasting a decent 4 hours before it starts fading. I love a semi-matte finish because they’re a little less drying than a liquid lipstick and your lips can still look pretty plump because it’s not totally matte! It applies very comfortably, without pulling at the lips, however any dry patches will be visible so as always try to exfoliate first. 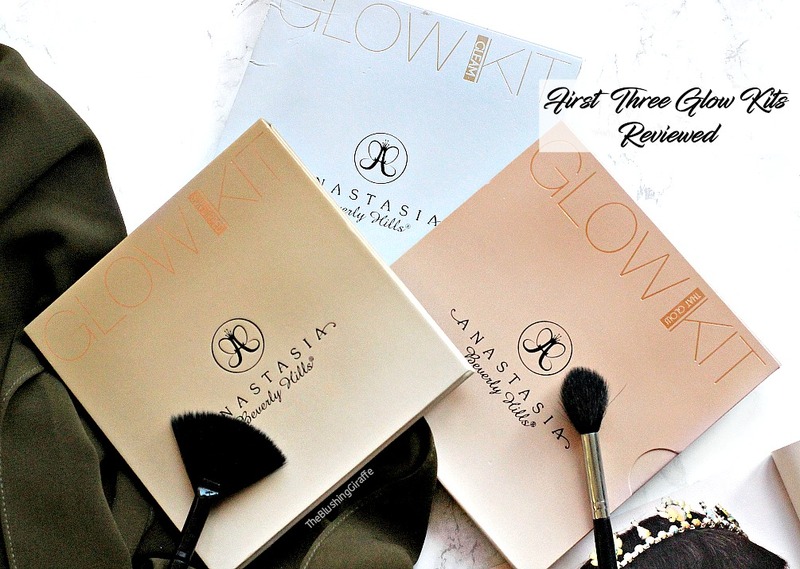 Favourite way to wear it: As I did feel like it was a little it too dark, I firstly went in with the Make Up For Ever Aqua Lipliner in 3C (reviewed) which is one of my absolute favourites! 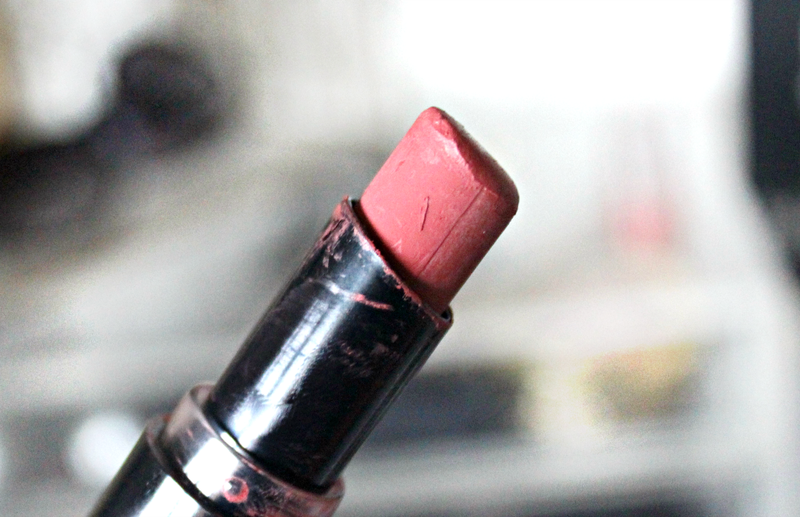 It is the perfect lipliner for slightly over-lining the lips and it lasts a really long time too! Once I’ve applied the lipliner and slightly filled it in, I’ve been dabbing this on lightly and it looks so pulled together and seems to go with my everyday makeup look too! Overall: I really like this shade, I’ll be buying several more for my mum and aunties because it reminds me of the shades they used to wear when I was younger and I know they’ll love it too! I don’t love it quite as much as ‘in the flesh’ (LOTW post here) because I would only really reach for this in the colder months, whereas ITF if a beautiful everyday kind of pink. Aside from the seasonal wearing though I really do like this lipstick and it’s one I’ll reach for over and over.